Unknown castle(?) is an image probably copied from a 19th century print source. 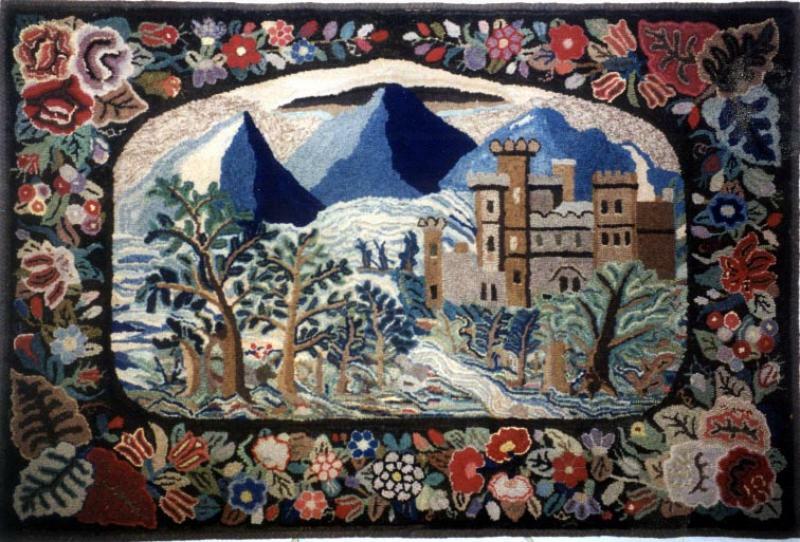 The still-brilliant cobalt blue mountain range is a most desirable feature in this early hooked rug. The beautifully detailed border with its abundant florals suggests this may be a pre-stamped pattern from a Maine rug entrepreneur like Frost or Ross. Finely crafted; vibrant colors; stretcher mounted ready to hang.